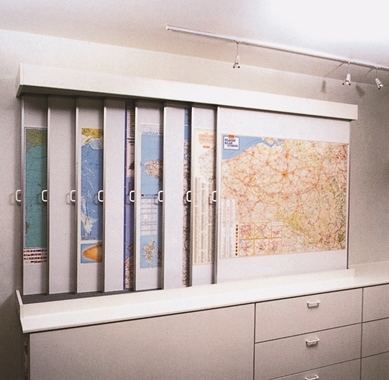 This rail system is the most professional map system showing maps, sliding from the left to the right or vice versa. 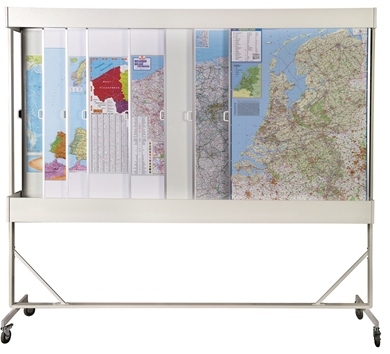 It is exceptionally user-friendly and you get an optimal view on your planning using 4 to 12 sliding displays in either a magnetic or pin board option. The boards are laminated with a write on/wipe off U.V. protected laminate. with sturdy, locking castors (total height = 2,27m). The boards for the sliding display system are laminated with a write on/wipe off U.V. 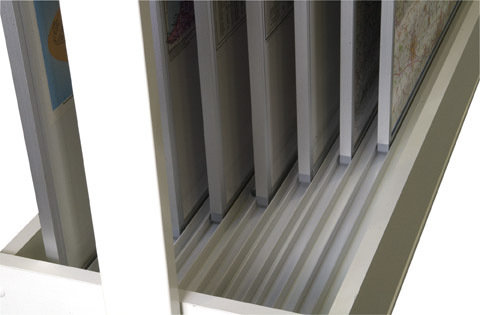 protected laminate and are supplied in a soft line profile. The width of the boards is determined by the width of the maps.